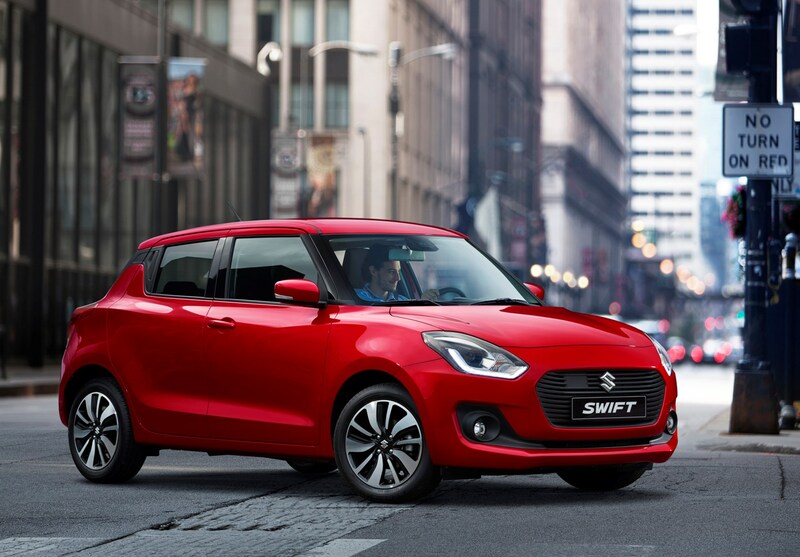 The Swift impresses on the equipment front, offering a good base spec and exceptional kit levels in the top of the range-topping SZ5. 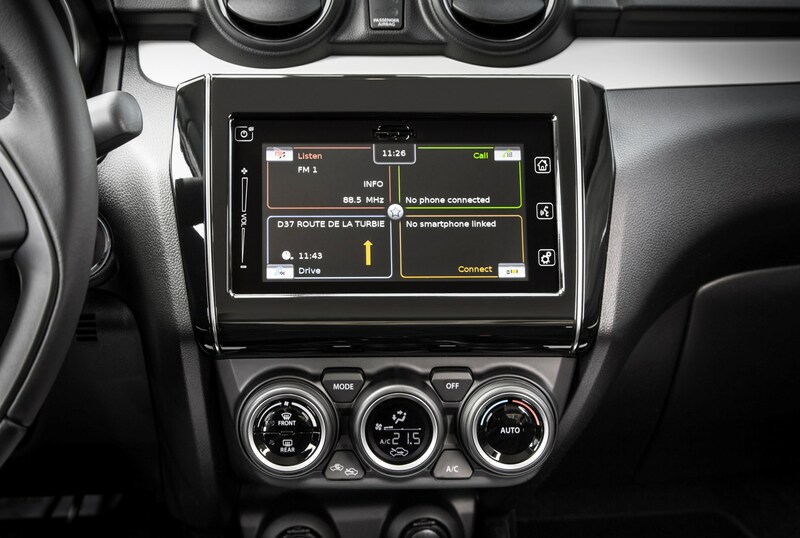 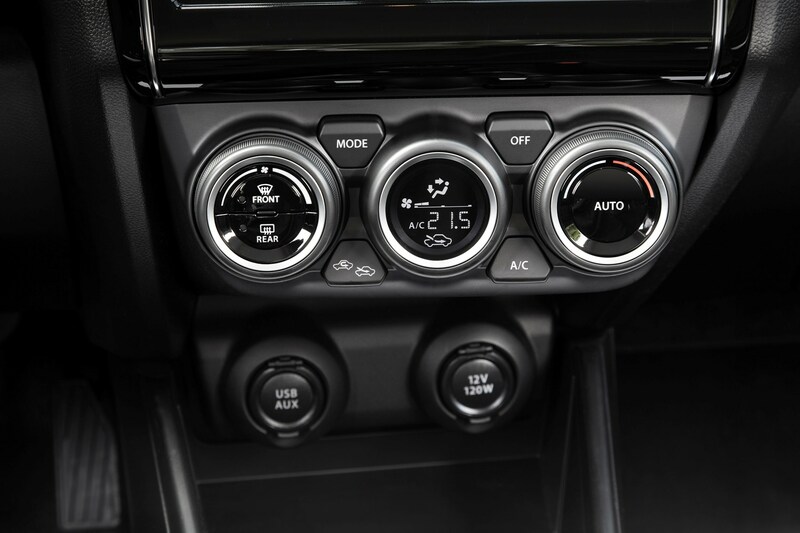 Included in the base SZ3 spec is all the small-car essentials such as air-con, Bluetooth phone connectivity, front electric windows and DAB digital radio. 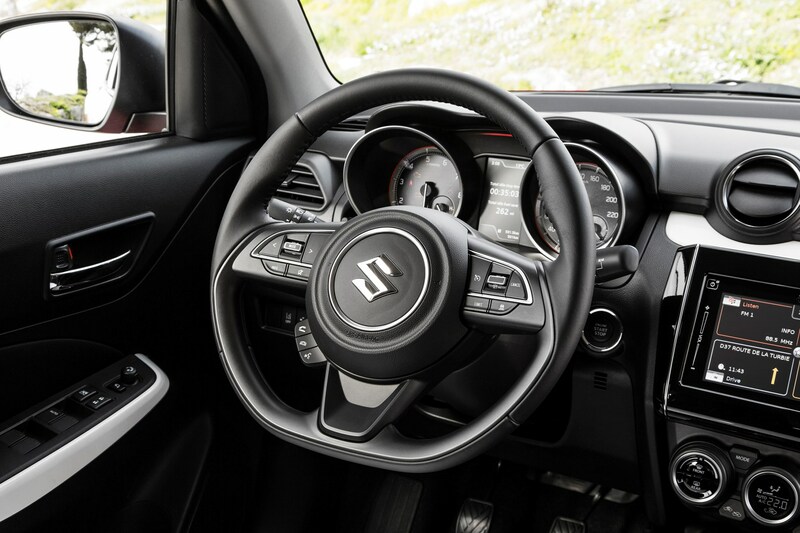 Upgrade to the SZ-T trim – expected to be the highest selling variant – and goodies such as Apple CarPlay/Android Auto, a rear view camera, 16-inch alloy wheels and front fog lamps are thrown in. 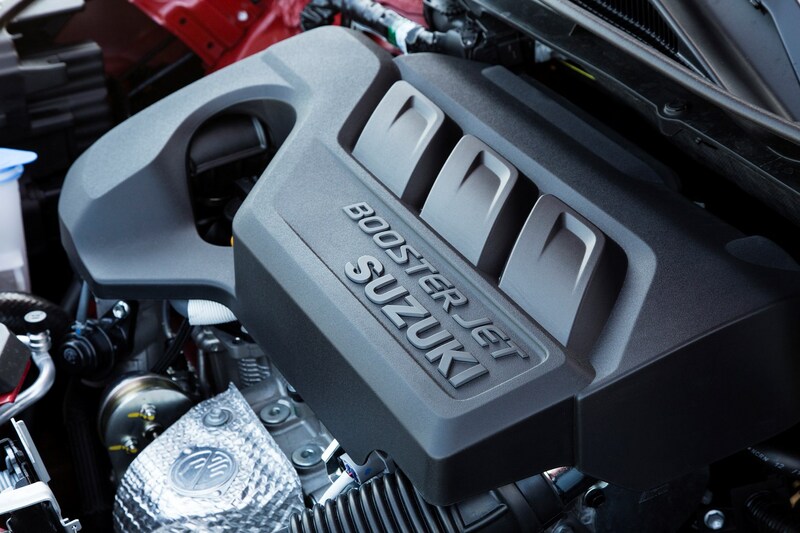 Top-spec SZ5 is where the vast majority of the fancy equipment comes in, however. 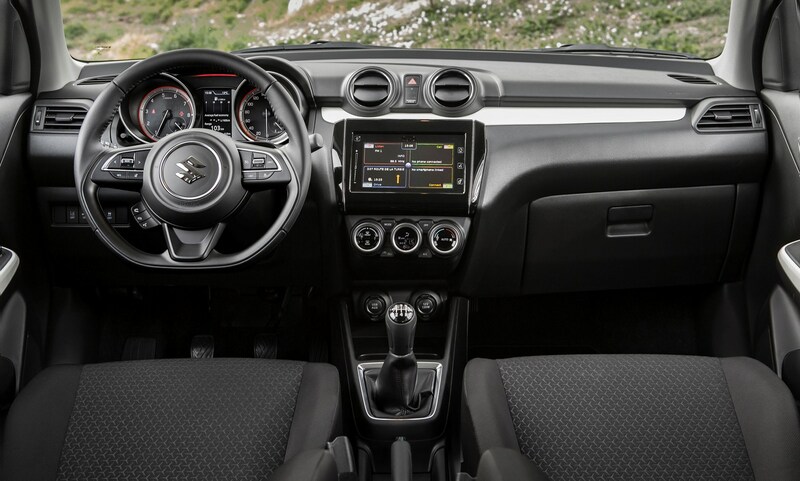 Sat-nav, climate control, LED headlamps with high beam assist, adaptive cruise control, keyless entry/start, 16-inch alloy wheels and telescopic steering wheel adjustment are part of the mountain of kit added to the flagship trim level. 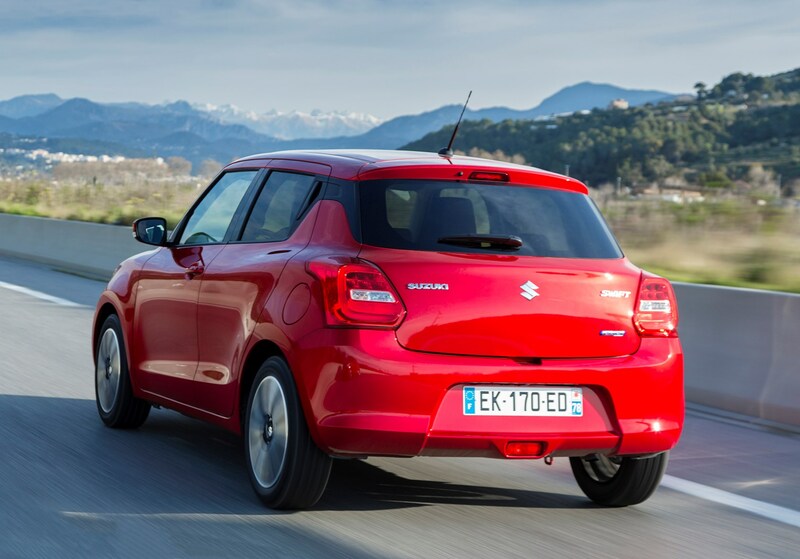 SZ5 is also the only spec level to feature autonomous emergency braking. 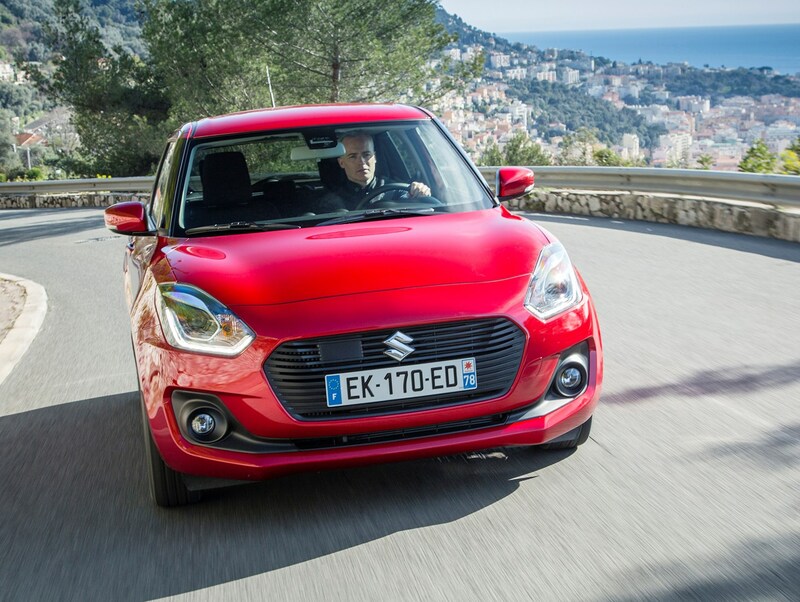 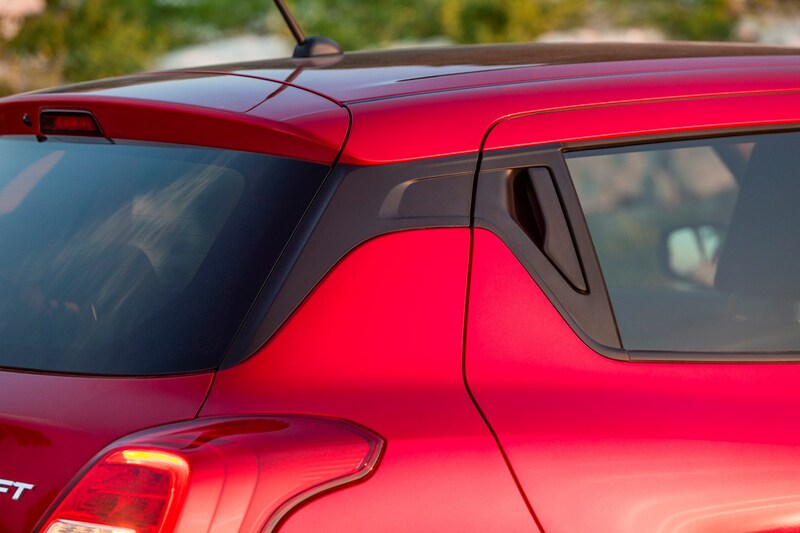 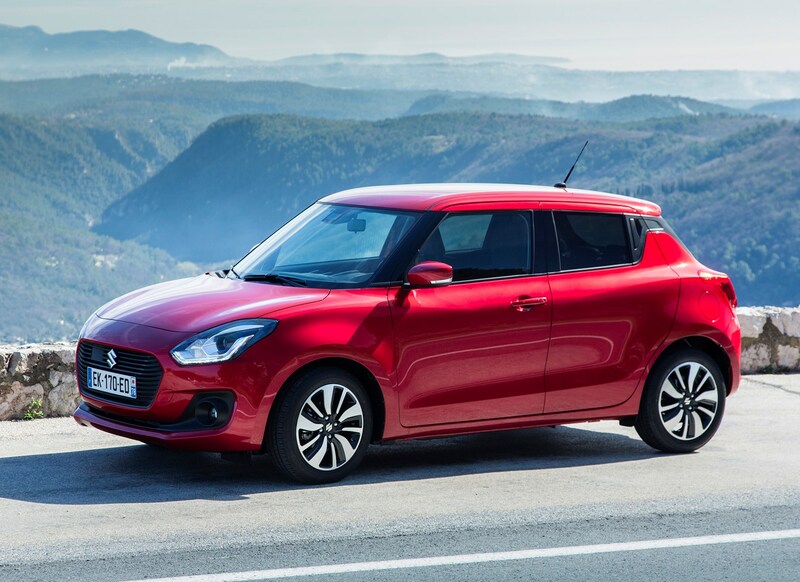 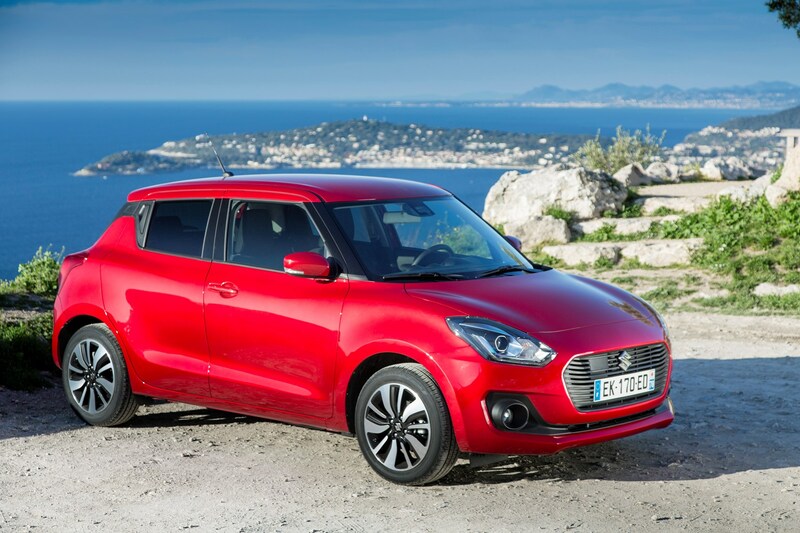 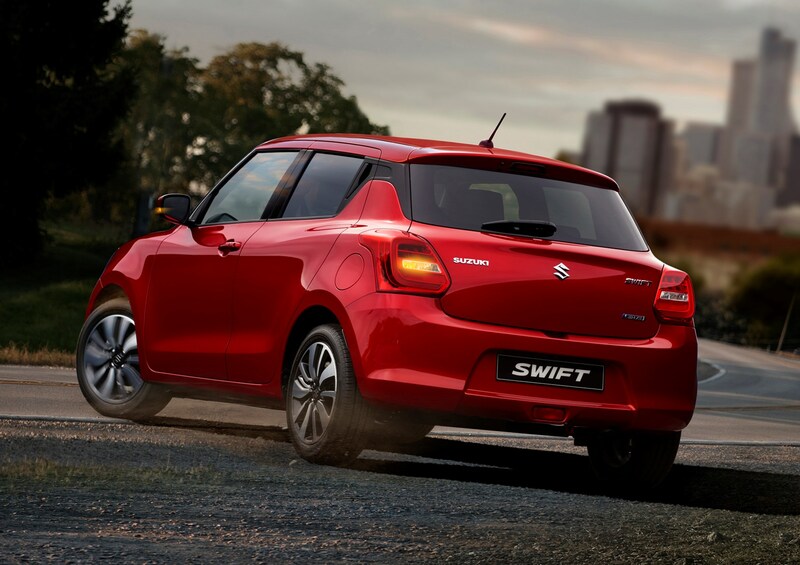 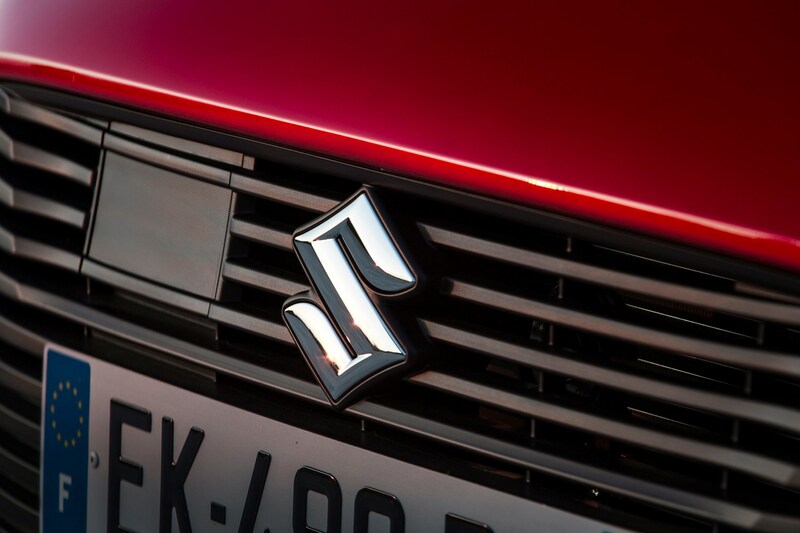 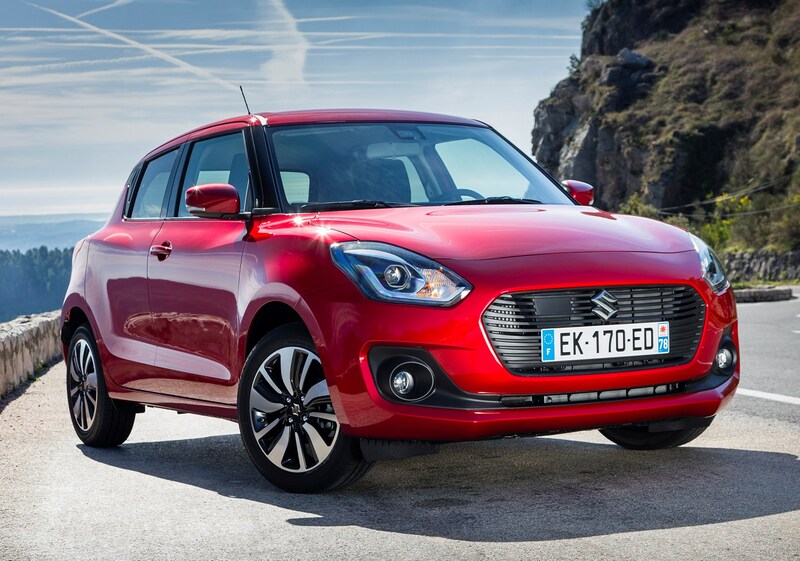 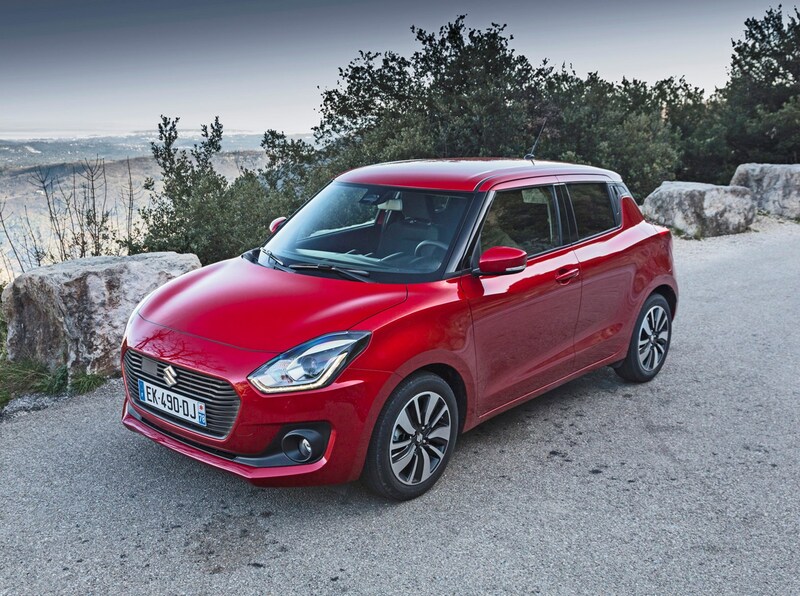 Suzuki deliberately offers the Swift with no extra optional equipment, thus simplifying the buying process. 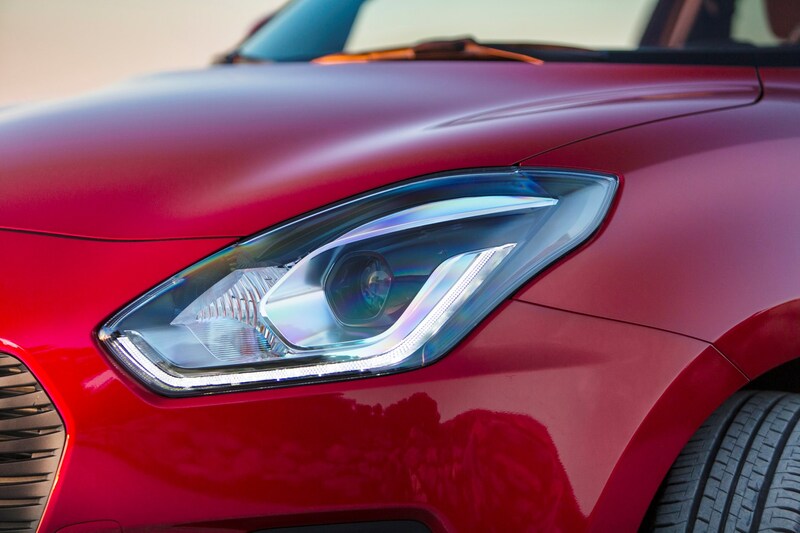 However, customers can take their car to the dealership and order exterior colour packs, adding visual additions such as stripes, coloured wing mirrors and wheels. 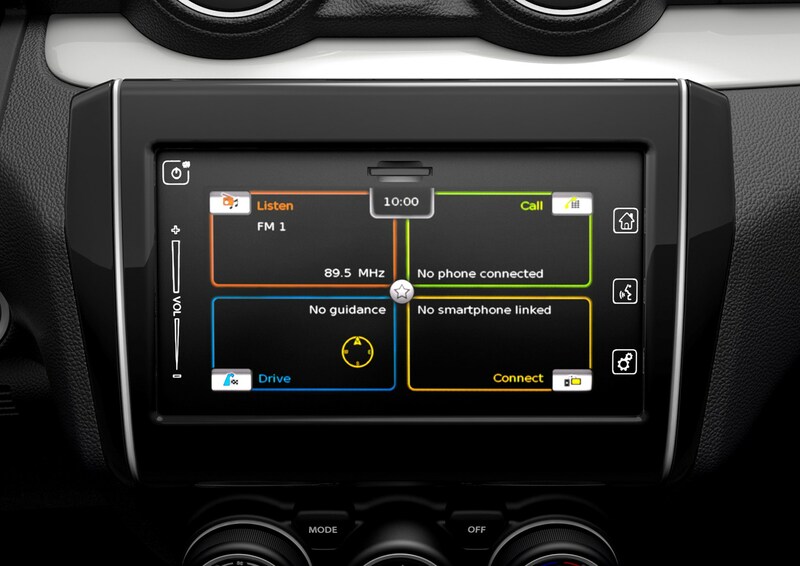 These can be bought, fitted to the car and swapped over at will. 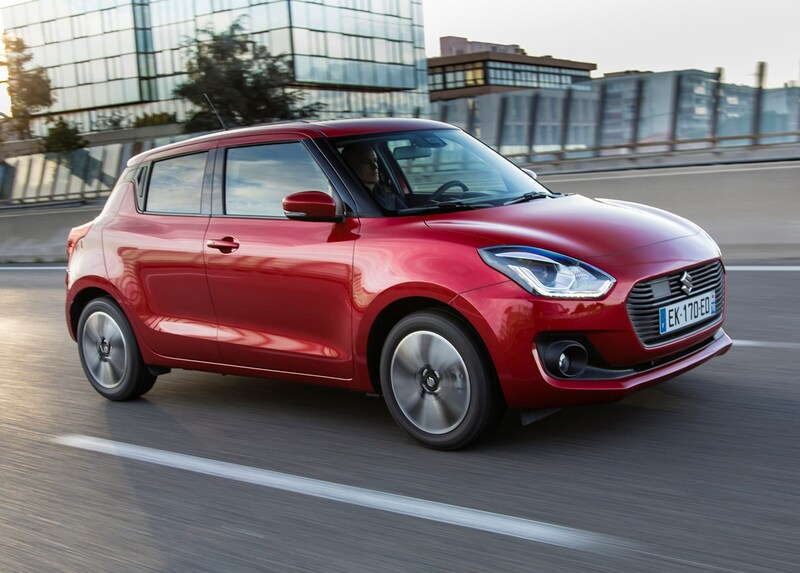 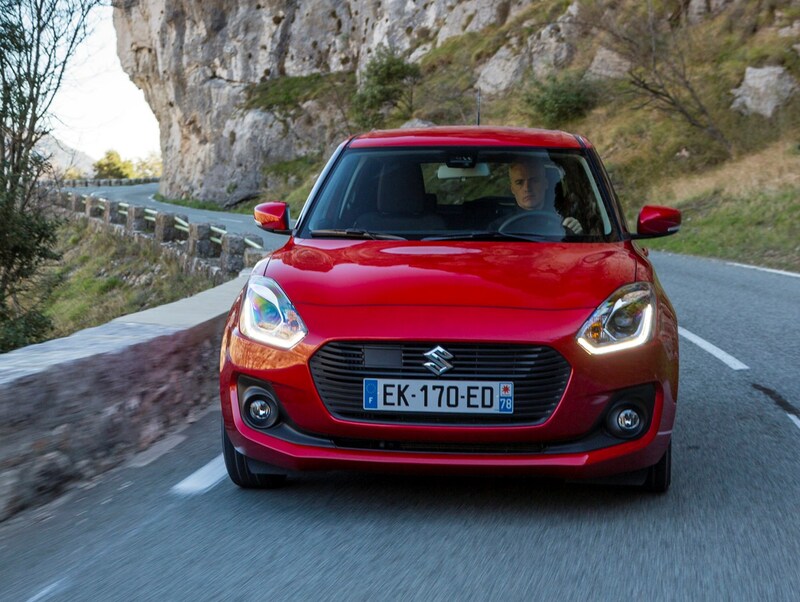 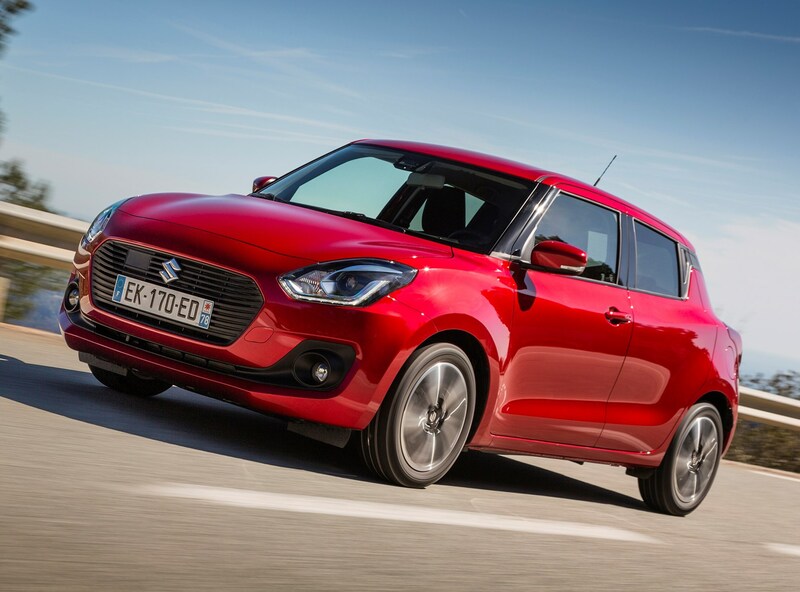 Although the fifth-generation Suzuki Swift has yet to be crash-tested by the experts at Euro NCAP, the brand expects the small hatchback to score five stars when the safety results are announced. 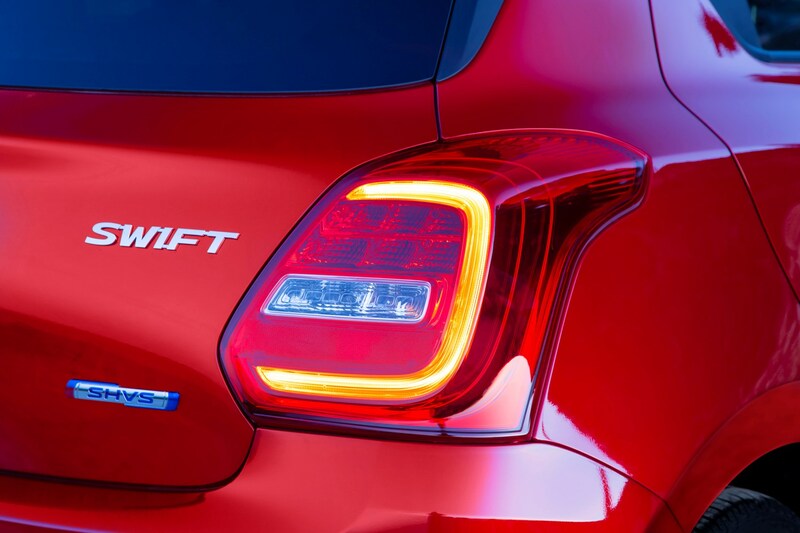 While the usual safety kit such as all-round airbags, ABS brakes and electronic stability control is standard across the whole Swift range, autonomous emergency braking is frustratingly restricted to the range-topping SZ5 models. 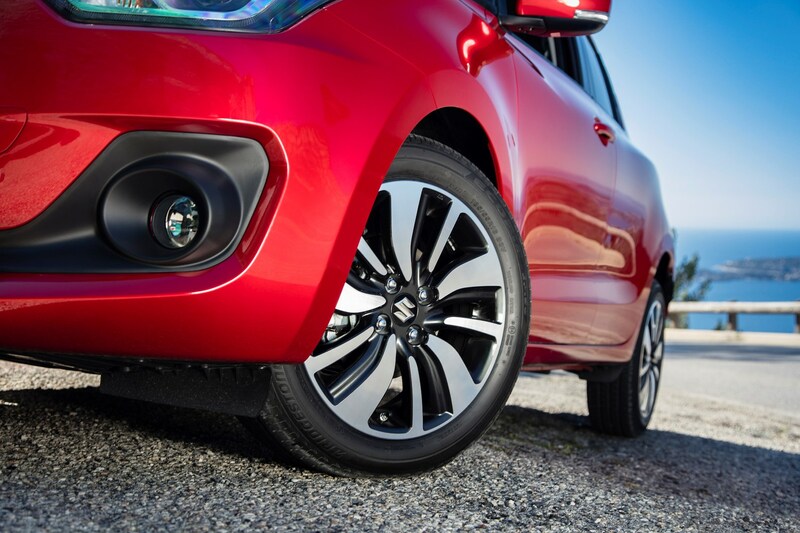 Referred to by Suzuki as Dual Sensor Brake Support, it will attempt to stop the car if an impending collision is detected from 3mph to 62mph. 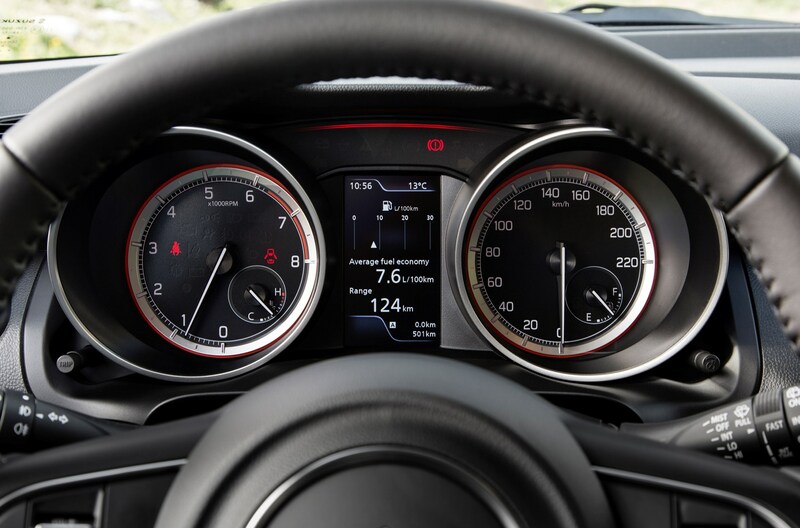 It’s a useful bit of safety kit and could save your life one day, hence why SZ3 and SZT spec cars won’t achieve as high a safety rating as the flagship SZ5 car. 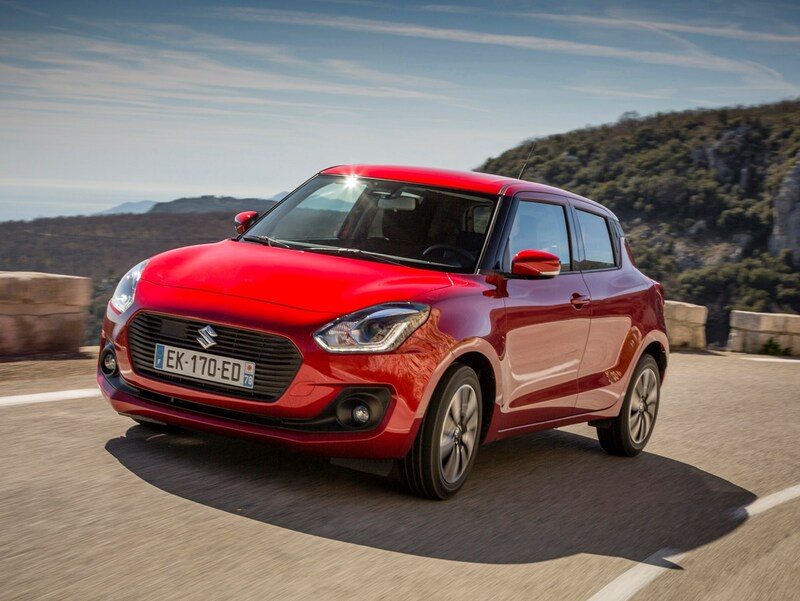 Not that we would recommend it unless it’s essential for where you live in Britain, but the Swift’s also available with Suzuki’s AllGrip four-wheel drive system. 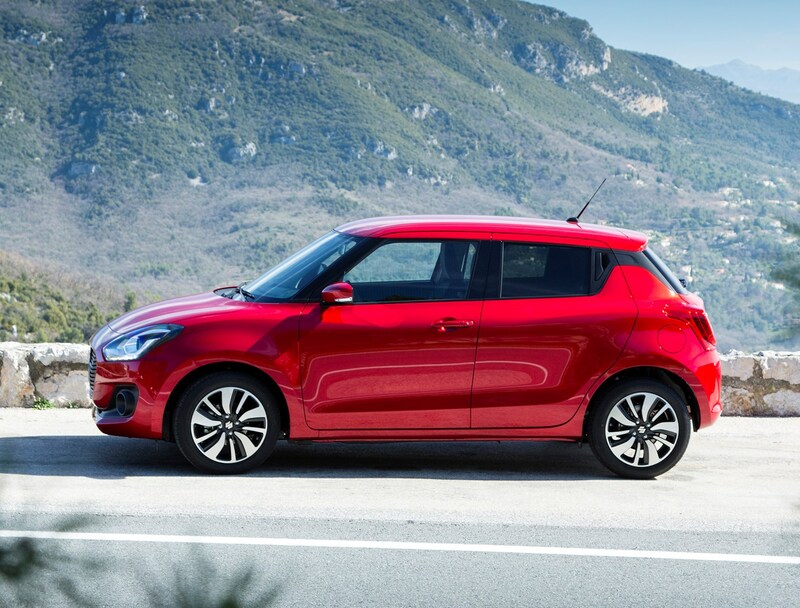 In many instances, most Swift drivers would be served just as well with a regular front-wheel drive model fitted with winter tyres. 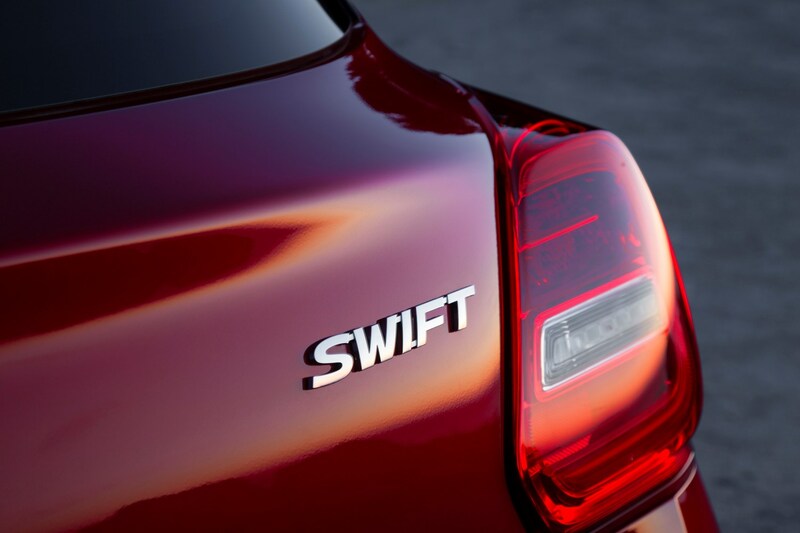 Although the Swift is shorter than before, it’s also roomier inside, thanks to having a longer wheelbase. 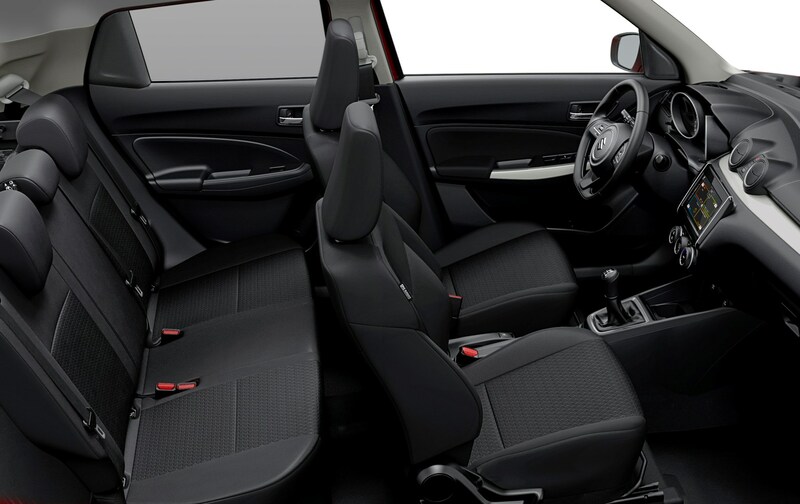 So you get more legroom, and thanks to lower-mounted seats which leave you a more reclined driving position than before, there’s more headroom front and rear. 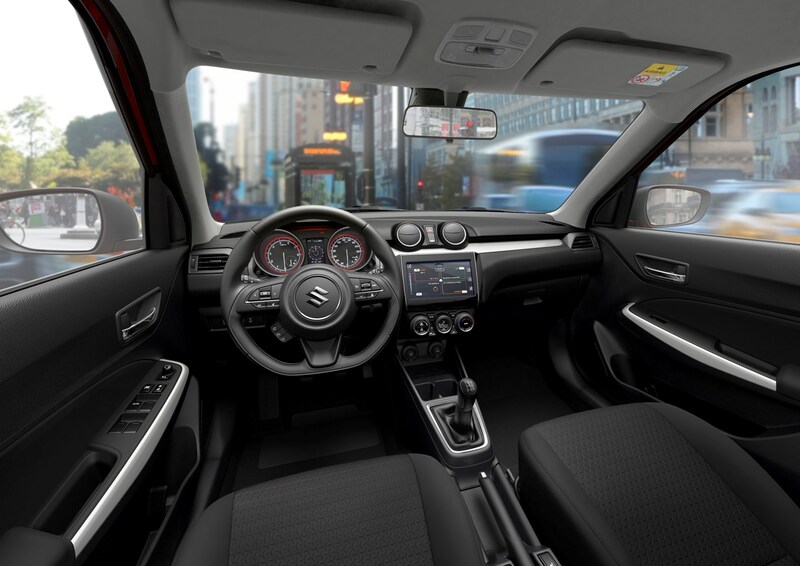 Journeys with three adults in the back are best kept short, but there’s enough legroom and overall cabin width to offer rear passengers a surprisingly comfortable environment. 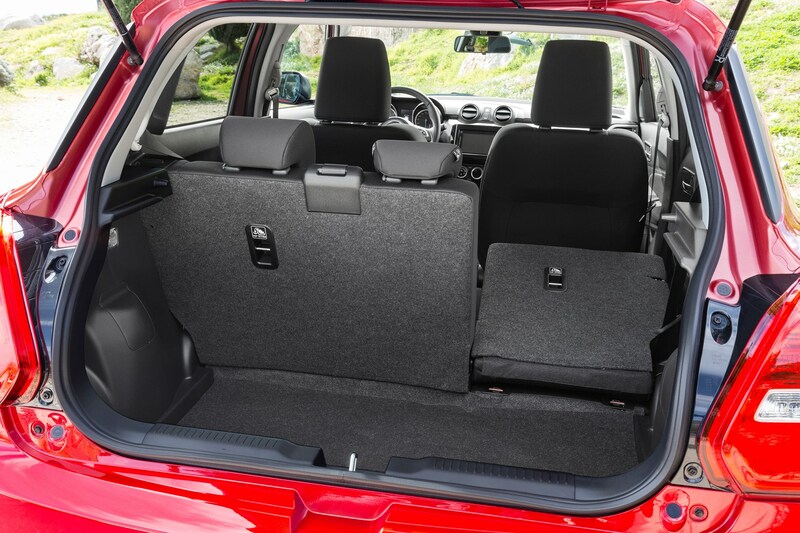 Note however that rear electric windows are only available on the top-spec SZ5 model. 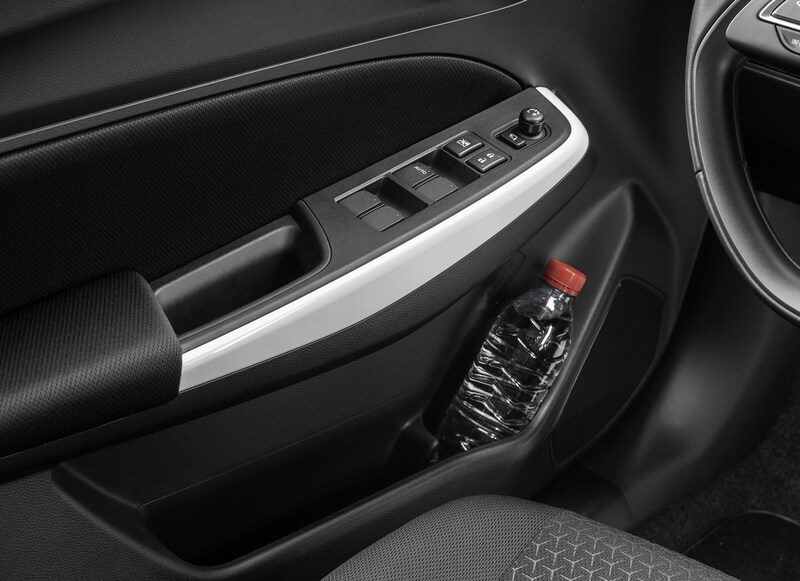 There’s a strong range of cubbies and cupholders in the front cabin, too, even if the materials surrounding them does feel a little cheap. 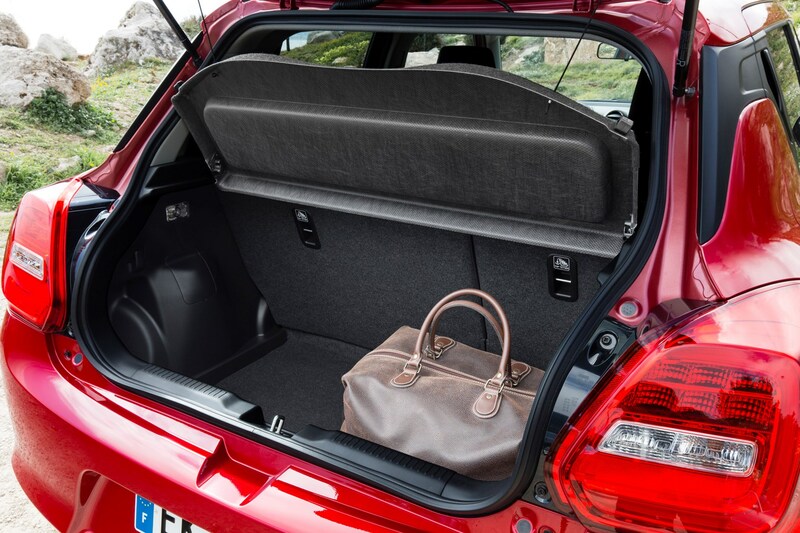 The boot capacity is 265 litres, which is 54 litres up from before – but it’s no class leader. 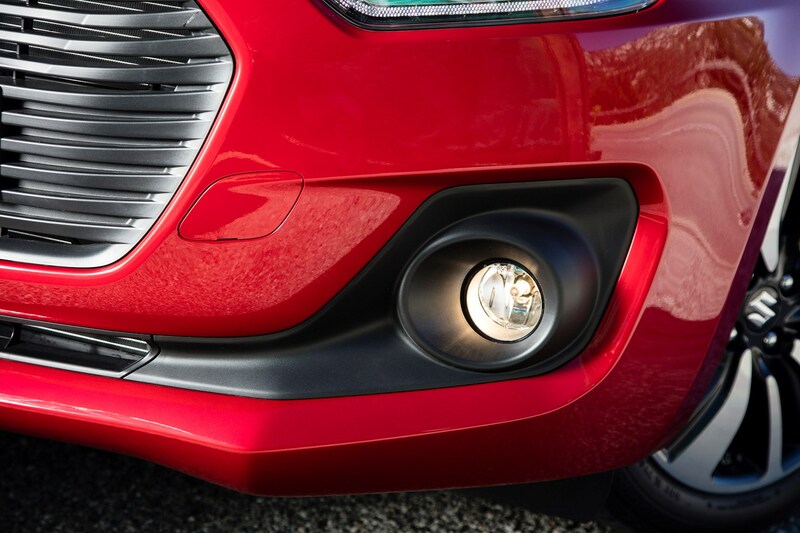 It has a high loading lip, which makes putting heavy objects in more difficult than it needs to be. 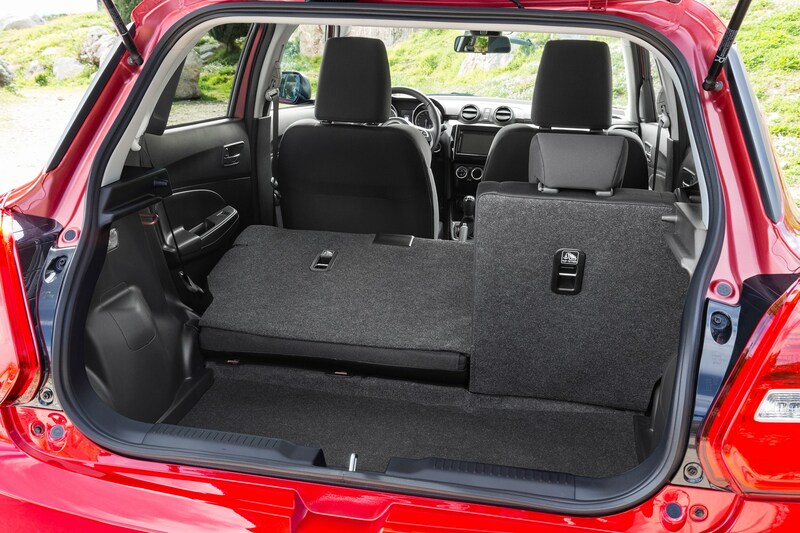 If you want the roomiest, grab a Skoda Fabia, Dacia Sandero or Kia Rio. 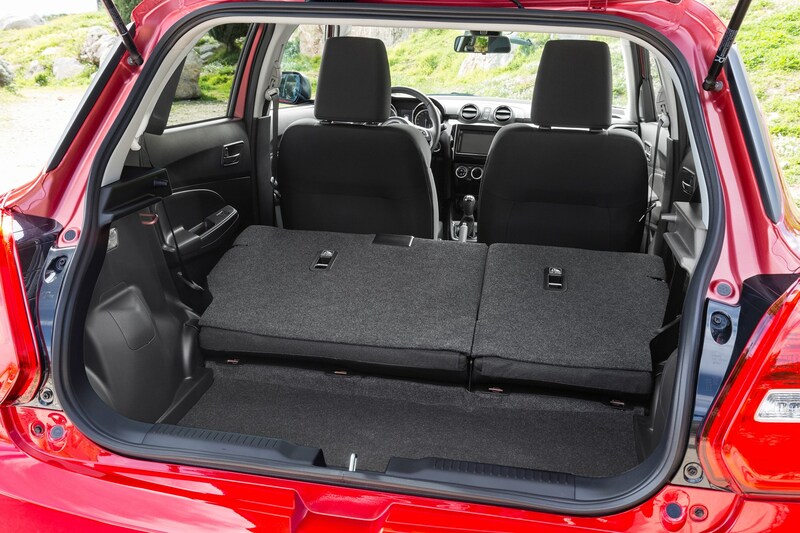 Check the table below to see how the Suzuki Swift Hatchback compares to other similar cars in terms of available boot space.